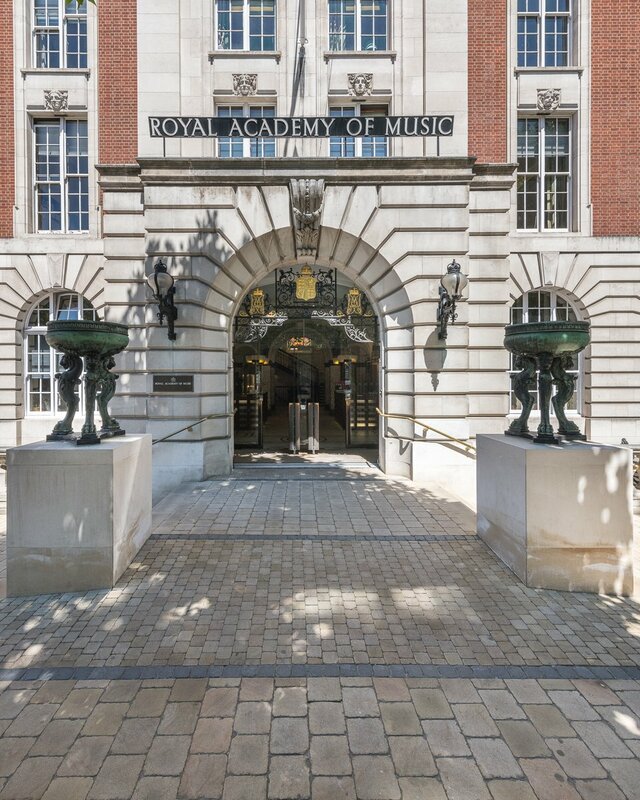 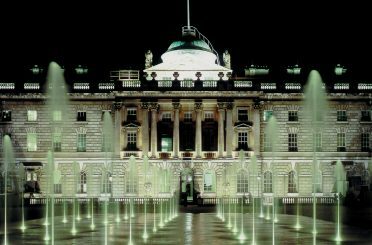 The Grade II listed Royal Academy of Music is home to the oldest conservatoire in the UK, originally founded in 1822. 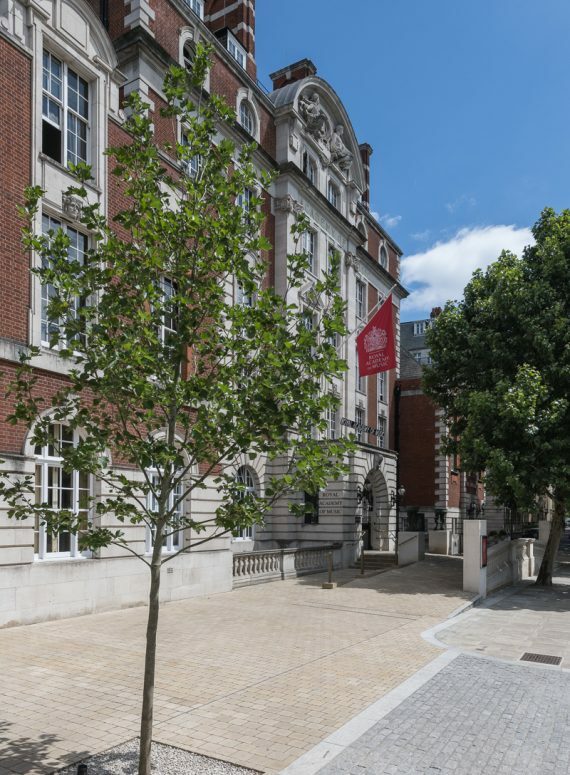 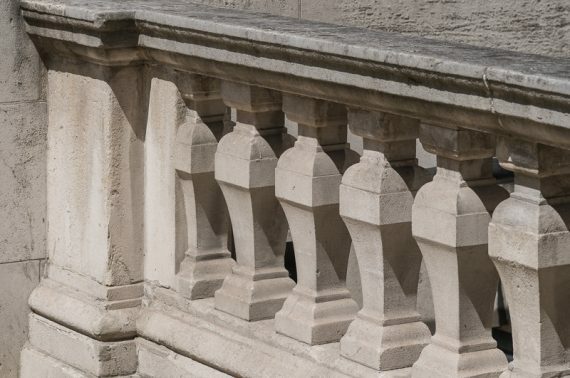 The building, situated near Regent’s Park, had a forecourt using plain concrete slabs and bollards separating the entrance from the road. 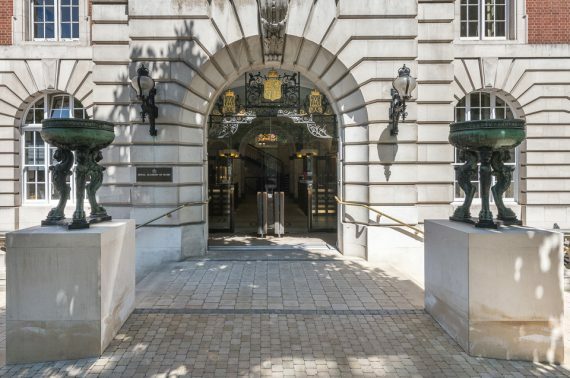 In essence, its pre-existing setting did not reflect the status of the listed building, and the stepped entrance did not allow disabled access or accommodate visitors carrying large instruments. 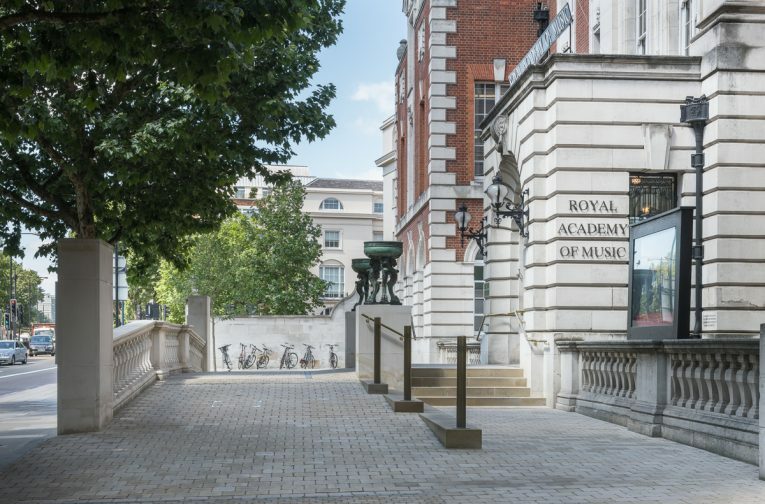 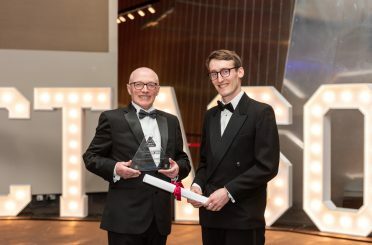 Donald Insall Associates was commissioned to reimagine the entrance of the academy and provide a new access ramp that provides parity of esteem and access to all visitors. The new ramp is designed to be a visual signpost for the entrance, which replicates the symmetry of the building itself and facilitates arrival for all building users at the main entrance. 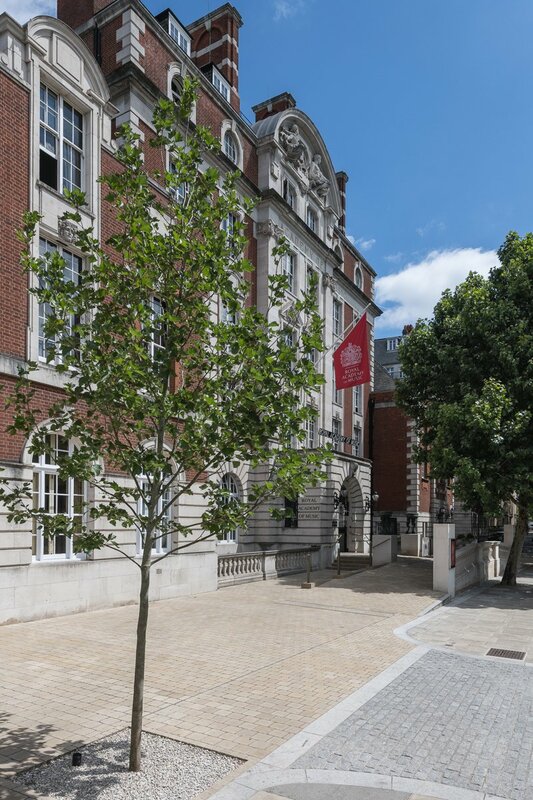 The new ramp is laid with York stone setts in order to match the existing steps and give delineation between Marylebone Road and the new shared surface forecourt. 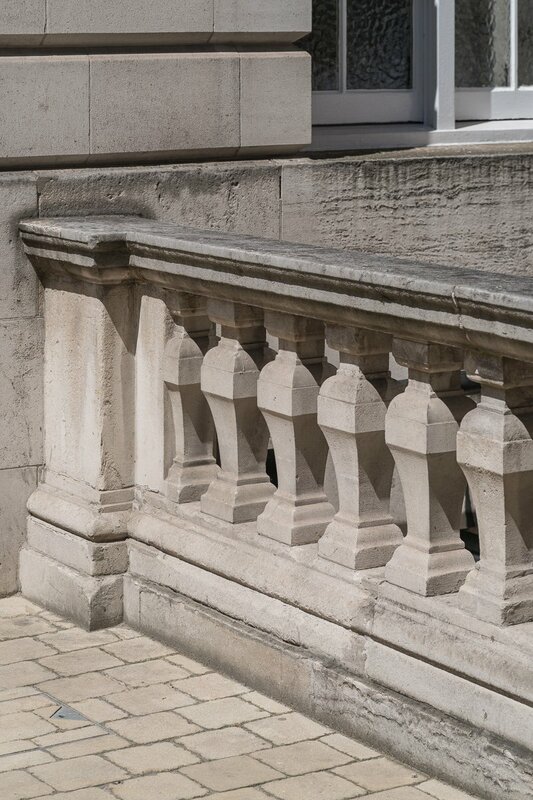 The steps either side of the ramp give flexibility of access whilst providing an area beside the existing bottle balustrade for students to stand away from the road. 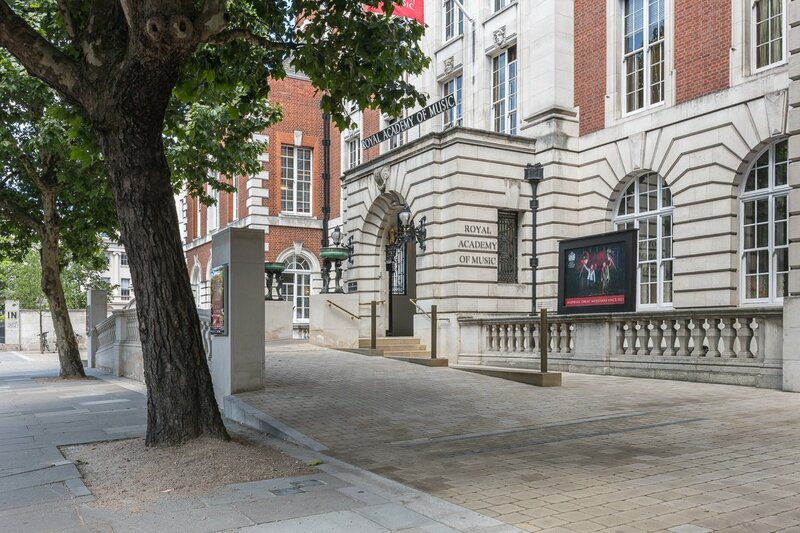 It exceeds all expectations and provides just what is required to provide proper access, to get us noticed and ensure that the theatre and recital hall are prefaced appropriately by the frontage. 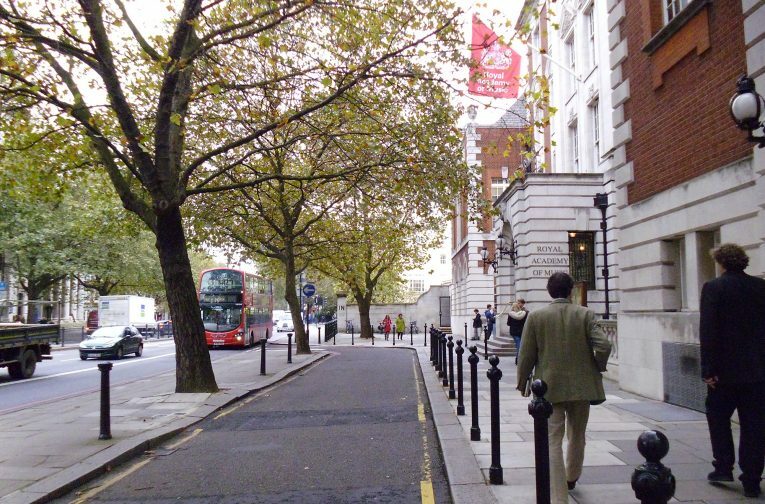 The original asphalt paved forecourt facing Euston Road.